It’s sometimes easier to blame the chemicals than to take responsibility for lax testing and maintenance. But we’re here to help. We’ll not only offer advice and a top line of Leisure Time chemicals at our Skovish Pools and Spas outlets in Luzerne and Shickshinny but also debunk what some take as common knowledge. Chlorine does not turn your hair green. Instead, the guilty party is copper, an additive that guards against algae growth. 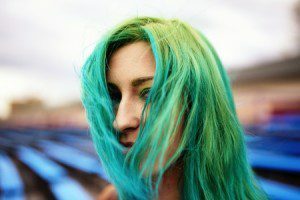 Combat the effect by wearing a pool cap or immediately shampooing your hair after leaving the pool or spa. It’s another reason to consider that outdoor shower. Chlorine doesn’t cause red eyes, either. In fact, this is caused by too little chlorine. 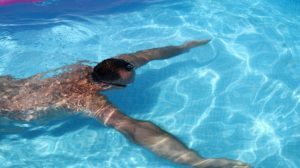 It’s an easy problem to avoid through routine testing of your pool’s chemical levels. Avoid swimming underwater with your eyes open, too. This washes away natural tears. Pick up some goggles instead. Sparkling-clean water doesn’t necessarily mean a sanitized pool or spa. Looks are deceiving, especially if you don’t shower before getting in, you allow dogs to share your space or you trust swimming diapers to catch everything that comes out. Clear water is a good sign, but it doesn’t replace a test kit. Test strips can signal trouble, but a test kit delivers a true reading of your levels. No matter how clean it is, don’t drink the pool water. It’s not chlorine, a chemical found in our drinking water, but contaminants that you don’t want to put in your system. Although you can’t avoid the occasional swallow, it’s a good idea to swim with your mouth closed as a rule. Need help with a particular problem? 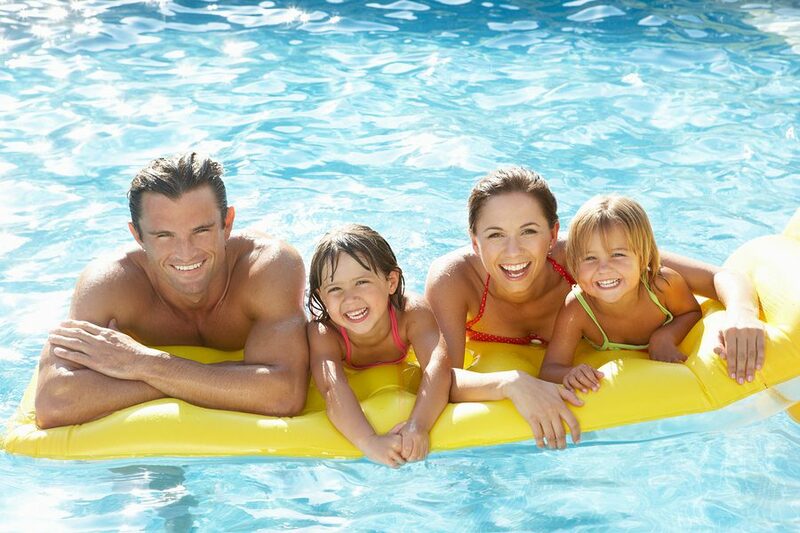 Stop by our Skovish Pools and Spas outlets, where we can help you find the right treatment for your pool or spa. 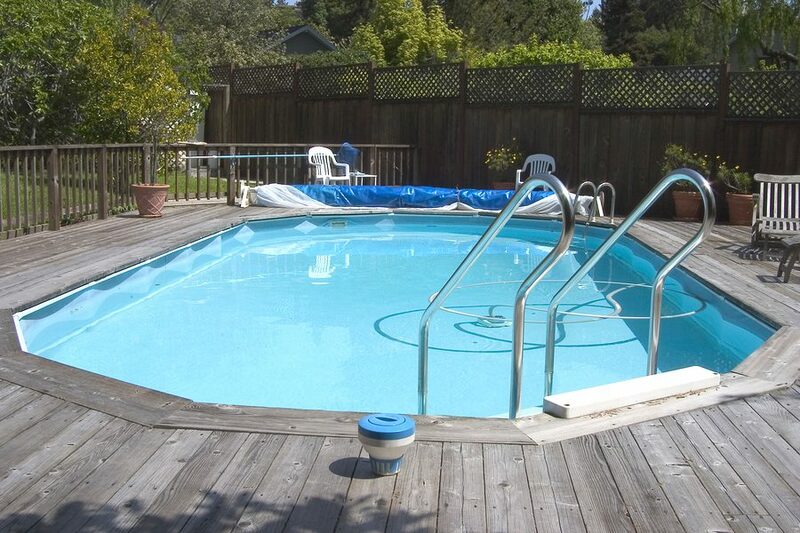 Does Your Above Ground Pool Need Rehab? 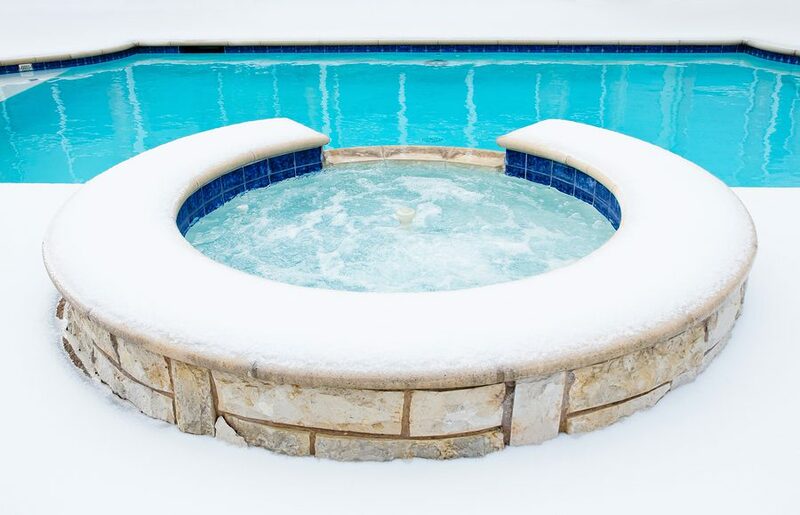 What’s putting the “hot” in hot tubs this year? Here’s a clue: It’s not just the heater. Once looked on as a luxury, backyard spas are making their way into the mainstream. Maybe more people realize the health benefits they offer. For the conventional pool owner, a backyard spa also extends the swimming season. Or maybe it’s because new technology allows folks to customize their spas with LEDs, music and hydrotherapy options. People are looking at bigger spas, especially swim-spas that offer room to move. 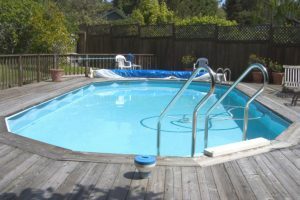 A hybrid of sorts, the swim-spa allows you to swim laps against counter-currents and opens your hot tub to more friends. There’s also room for a swim-up bar like the ones you’d find at a resort. Spas are getting smart. Following in the steps of smartphones and smart homes, pools now allow you to automate maintenance routines. Chemical balance? Check. Need a shot of chlorine? Check. A little stabilizer? Check. All of these actions can be managed from your web-connected smartphone or another mobile device. They’re more energy-efficient, too. Tubs now come surrounded with better insulation, and covers really do keep the heat in. Additionally, many tubs now come with energy-consumption monitors and self-diagnostic controls. These devices are good for the environment and your wallet. Stop by our Skovish Pools and Spas outlets in Luzerne and Shickshinny for a look at today’s backyard spas. You’ll be amazed!